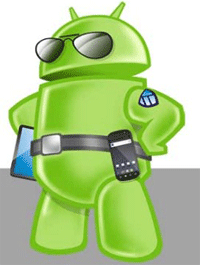 Android is now the most used operating system on mobile phones and mobile devices like tablets and notebooks. As it gets more popular, its becoming the number one target for hackers. Most security and Anti-virus companies have realized the increasing threat and have released Android security and antivirus apps to protect your Android phone from hackers and viruses in the wild. Here’s list of top Android security apps. McAfee WaveSecure is a product of one of the most trusted security companies, McAfee. Its not an Antivirus software as you may think. But its an all in one Android security tool. Here’s some of the features of McAfee WaveSecure. Trace the location of your Android phone or device on a map in case its lost. Lock the mobile or device remotely using the web app or by sending an sms to it. Also, you can display a pre-defined message on the locked device. Delete all the personal data on the phone. Take a full Android backup of your personal data on the cloud so that you can restore it on another device or same device, if needed in future. Alarm system in case you misplaced the phone or device. So basically McAfee WaveSecure is a great Android security app for remote protection and backup / restore of your Android phone or device. As the name suggests, Avast Mobile Security & Antivirus is product from another biggest player in the security industry, Avast. Just like McAfee WaveSecure, it has anti-theft and backup features, but along with that, it also has a built-in Android Antivirus and Android Firewall. Here’s some of its features. A full mobile Android antivirus scanner that automatically scans all installed Android apps, contents in the data / memory card, sms and files. You can also schedule automatic full mobile scans using it. If you don’t want to receive calls or sms messages from some numbers, you can block them using this app. The built-in web shield automatically blocks you from clicking on any links that are potentially risky and may install malware like adwares, trojans and spywares on your mobile phone or device. If you are worried about how much data your mobile uses, then this app also lets you measure total incoming and outgoing data transfers. Lock apps using passwords or gestures so that only you can open them. Take full backup of the content of your Android phone or device including contacts, SMS messages, call logs, and images. Track, trace and locate your lost Android phone by using the built-in mobile tracker (GPS tracker), SIM change notifier, and remote control via web interface or SMS message. 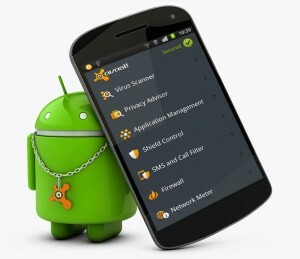 Overall, Avast Mobile Security and Antivirus is better then McAfee WaveSecure as it provides more features, including an Android Firewall and an Android Antivirus. 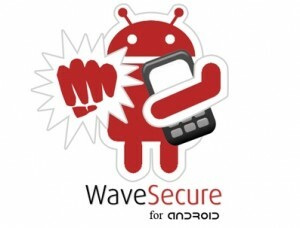 Lookout Mobile Security provides all the features that you get from McAfee WaveSecure. Additionally its also a full Android Antivirus app. It scans your Android phone or device at pre-defined intervals and also has firewall and intrusion alert features in case someone tries to hack your Android device. Its also better then Avast Mobile Security and Antivirus as it has some features which are only available in the premium version of Avast app. That’s it. Try one of the Android security apps listed above to stay safe. Also, we update this list of Best Android Security and Antivirus Apps as soon as we come across any better apps, so subscribe to Zoopable to stay updated.